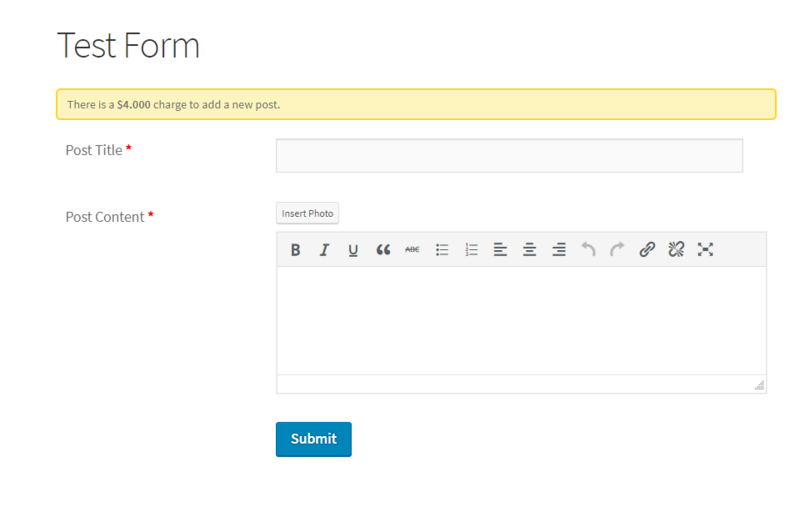 wp-admin → User Frontend → Post Forms → Add/Edit a form → Navigate Payment Settings located under Settings tab. 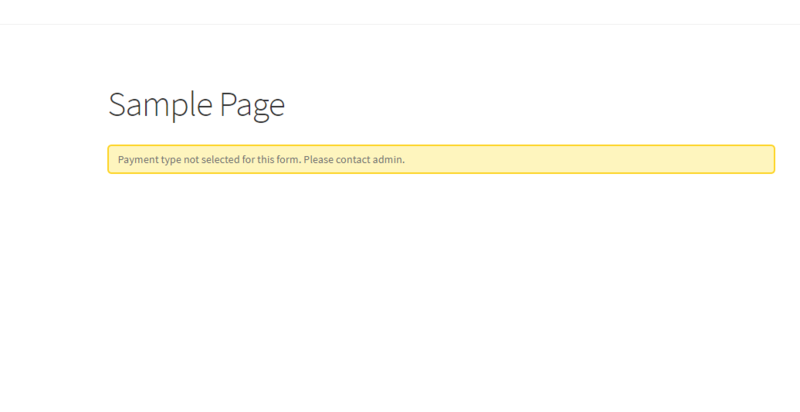 We can enable payment for a form by checking the “Enable Payments” option. 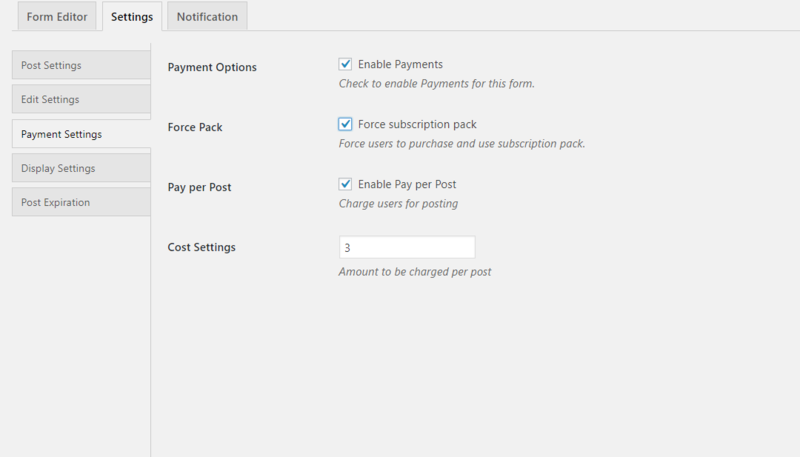 If Payment is enabled and no option is selected, then following message will be shown. 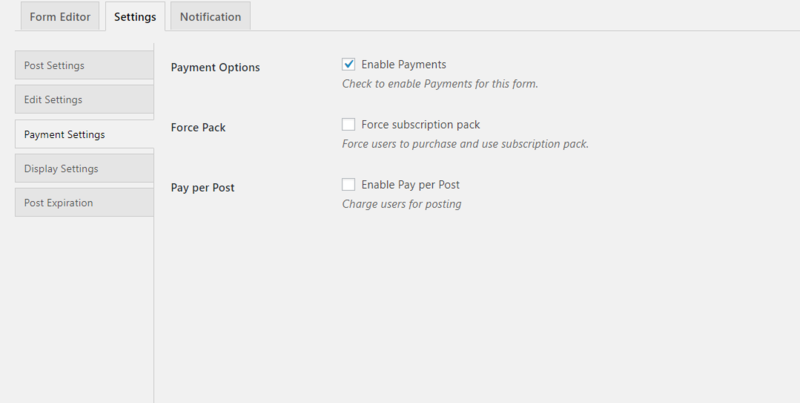 If “Force Subscription Pack” is enabled then the user will be asked to buy a subscription pack.